Fans of the game of Baseball are familiar with the marvel that is Adrian Beltre. The Dominican player is a five-time golden glove winner and has been nominated for numerous other awards in the bat-and-ball game. Apart from the fact that the former baseballer is currently ranked as the 13th best defender to have ever played in Major League Baseball, he pulled down several other walls in the game like pulling off a Double-A Jump. If you check the record, you will find that Gary Ingram in 1994, was the last person to make a jump from Double-A league to playing in the majors; Adrian Beltre beat that record in 1998, keep reading to learn more about him. On the 7th of April 1979 in Santo Domingo, the Dominican Republic, the legendary baseball player Adrian Beltre Perez was born. He comes from a family that is heavily invested in the national sports of his native country – Baseball and Cockfighting. His father bred roosters for cockfighting and he has an uncle who is considered a baseball royalty in the Dominican Republic. Growing up, Beltre had no interest in any of those sports until at the age of twelve when he watched a baseball game and subsequently fell in love with the sport, this was a turning point and a determining factor in his decision to play baseball. Adrian decided to start practicing the game and got better at playing baseball. While in secondary school – Liceo Maximo Gomez – he became one of the school’s best players. At the age of 15 in 1994, he was noticed by two scouts for the Dodgers who insisted that the Dodgers sign him regardless of his age and miniature size. In July of the same year, he became a part of the team and was paid $23,000. Adrian Beltre did not begin to play in the major leagues until 4 years later at the age of 19, and he was the youngest player in the entire national league. His first match was on the 24th of June of 1998, in a game against the Anaheim Angels playing third base. Since his career as a professional baseball player kicked off, he has played in the position of third base for the Los Angeles Dodgers, Seattle Mariners, Boston Red Sox, and Texas Rangers. For the time he spent with the Dodgers which was seven years, his total battings were between .369 and .629 with the former for his first season and the latter for his last season. While playing for the Seattle Mariners, his batting was much lower than what he was batting at the Dodgers. At his next team, he experienced significant progress with a total batting in the first season set at a .553. He played with the Red Sox for one season before moving to the Texas Rangers where he started off with .561 and in 2018, his last season with them, he batted .434. Being a sportsman, he was prone to numerous injuries most of which were to his hamstrings. He once suffered a hit to his groin which caused one of his testicles to bleed. This baseball icon is married to a woman called Sandra, who describes herself as spiritually intense. They have three children together and have been married since 2003. 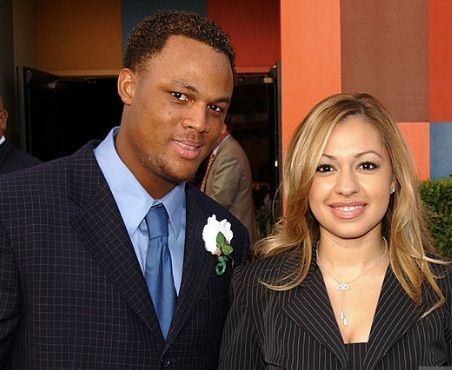 Adrian Beltre was signed at the age of 15 by the Dodgers, who believed him to be 16 at the time. He began playing at 19, in their minds he was 20. 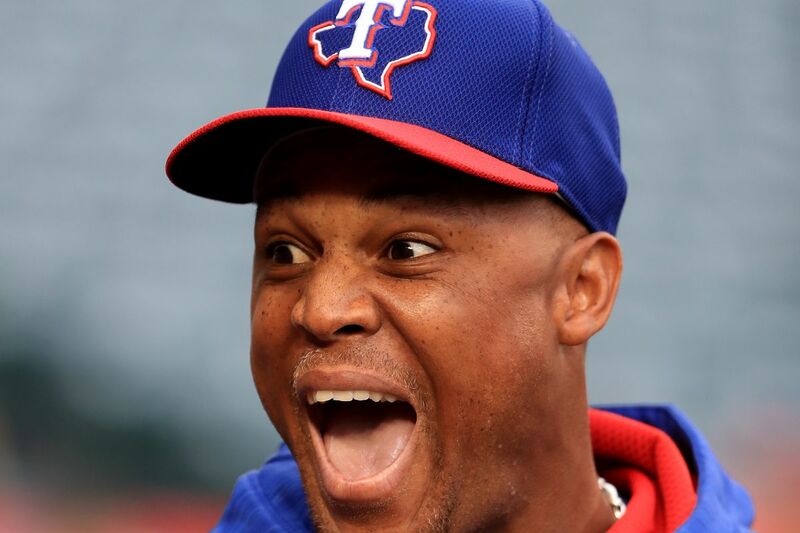 When Beltre and his agent went public with the information, the team was suspended from scouting in Beltre’s home country, the Dominican Republic for a year. As a result of this, he was the youngest player in the league in 1998, the third youngest in 1999, and the fourth youngest in 2000. Baseball players are required to wear jockstraps also referred to as cups but not Beltre, he refused to wear one to his games, citing them as restricting, discomforting and hindering his ability to run. He, however, had an injury in 2009 that a cup would have presented which caused him two weeks of game time. He is very averse to touching especially during a game; Adrian is known to have thrown things at people who have touched him during games.